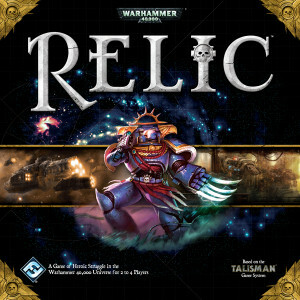 With the release of Relic from Fantasy Flight Games and its subsequent arrival at stores now, we are offering a special for its commission painting during the month of May. Normally to paint all 10 busts included in the game to our Standard quality, it would cost $200. For this commission special we are charging $90 for the full set. Miniatures will be collected over May for painting at the start of June. Depending on the amount of commissions that we receive, you can expect your miniatures to be completed by the end of June. Whilst putting together our own Relic, we discovered that the stands are a little hard to insert into the busts. The tightness of the fit also makes us feel that over time this joint may become loose and thus not stay plugged to the bust. Enter the Magnets! For an additional $10 we can magnetize the base and the busts for you. To secure your commission, use our contact form and quote ‘Relic Board Game Special’ to receive this discount. We will gather all your information and book your commission slot. This offer will end at the end of May. This offer is not to be used in conjunction with any other of our discounts. I have seen this offer and I am very interested. Could you please give me a price for the commission and postage to the UK? The cost of this special is $90 aud with postage to the UK at $15 aud. If you would like to know more about how our commissions works or to book this, please use our contact form. I have just recently found out about your service, love the minature paint jobs the team is doing! I am writting as I am seriously gutted that I missed out on the Relic board game special offer of the Miniatures painted for $90 (and magnets for another $10). Are you going to be offering this special again I have recently just purchased the game and am looking to get them painted as well as get the magnets added to them as well! Please advise!